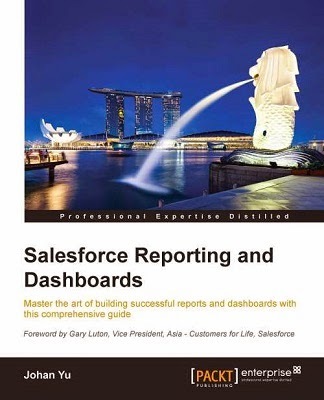 After active for more than 18 months in Salesforce Answer Success Community and answered for more than 5000 posts (currently stay at 5,271), I see many members asking for help or advise to fix validation rules, to make sure the validation rule will block invalid data based on some criteria. Use Case: user only allowed to enter Billing Country in Account with US only or "US or Unites States" only, but not USA or U.S.A or U.S. or etc. 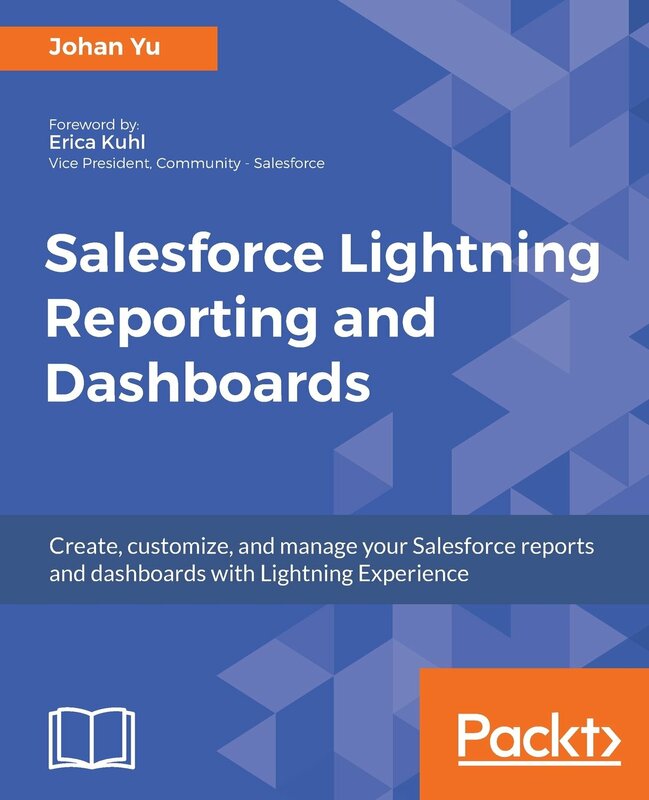 I concur this is a good practice to standardize data entry, so user or admin can easily run a report and group them altogether with correct result. But, what happen if you want to validate 200 countries name in the world? Using validation rule, it will be difficult to maintain. Furthermore, if the values need to be maintained by users, not by system admin, using validation rule is not possible. 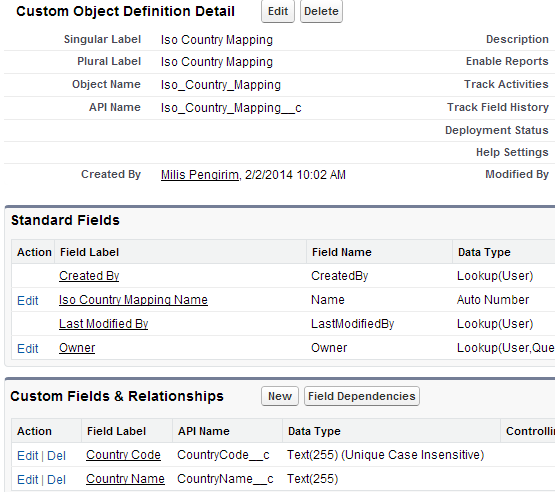 Change na3 with your Salesforce instance; a0m is the key prefix for this custom object. 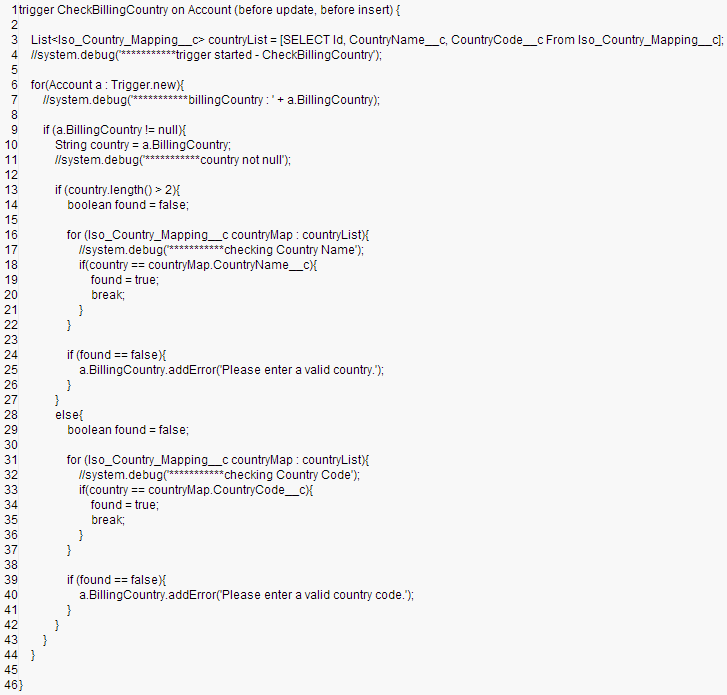 First, check if Billing Country is not blank, if blank than go through. 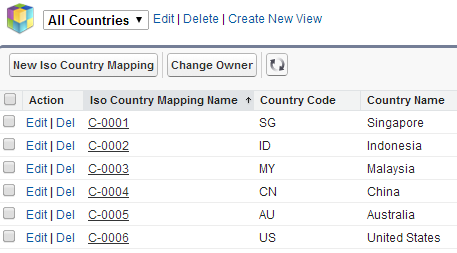 Second, check if Billing Country is only 2 characters, if YES check Country Code, if No check Country Name. If not found, use addError() method to stop system to save and show error message. 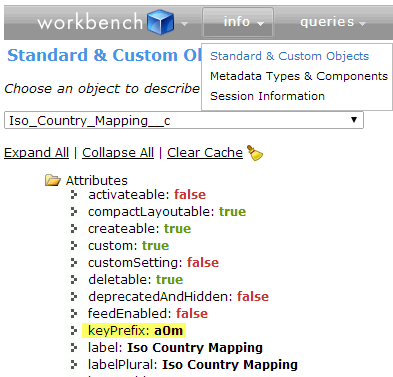 Please note that you need to have Test Method apex class with at least 75% coverage of above trigger to enable it deploy to Salesforce Production instance. From above quick explanation, it check both Country Code and Country Code based on length of Billing Country, using the same way, you can expand the code to check more things with more advance logic.